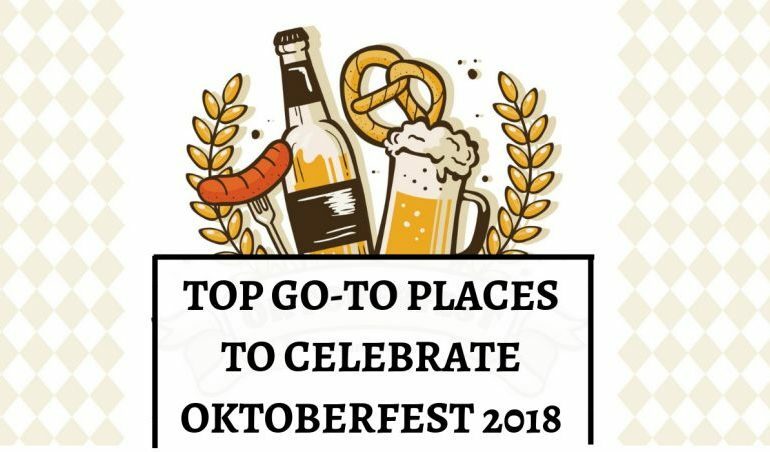 Top Bars and Restaurants To Celebrate Oktoberfest 2018 In Kuala Lumpur, Malaysia! 26 September 2018 19 October 2018 Categories General, TableApp, TableApp IdeasBeers, Festival, Hilton Petaling Jaya, Oktoberfest 2018, Pier 12 Seafood Tavern, SOULed OUT Sri Hartamas, Stratosphere at The Roof, The Beer Factory Express Citta Mall, The Beer Factory Express Sunway Geo, The Beer Factory Sunway Giza, The Voice, Uncle Chili's Bar & RestaurantLeave a Comment on Top Bars and Restaurants To Celebrate Oktoberfest 2018 In Kuala Lumpur, Malaysia! Let’s welcome the return of one of the most anticipated festivals of the year – Oktoberfest 2018! The world’s largest beer festival is back to pay tribute to the existence of quality beers, stouts and ciders. You just simply cannot miss out this opportunity to quench your thirst with premium beers and to revel in lip-smacking foods. Participate in the best beer festivals in Kuala Lumpur to cheer on this occasion and if you are still wondering where to go in this Oktoberfest 2018, check out our hand-picked list of the bars and restaurants you should pay a visit! 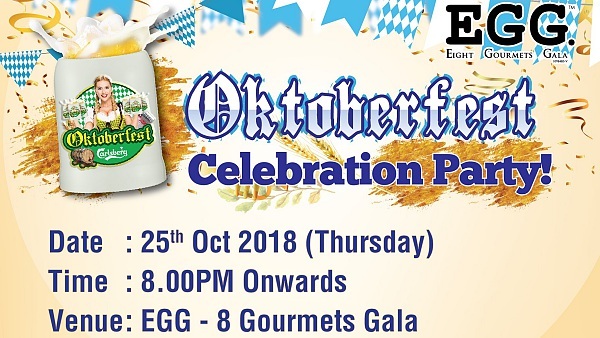 Grab your cold beer, move along with the legendary Chicken Dance and celebrate Oktoberfest to its best at EGG – 8 Gourmets Gala. Come to the restaurant and get your special Oktoberfest mug filled with your favorite brew! RM1600 worth of prizes are ready to be won! Time: 25 October 2018, from 8pm onwards. Location: Suite G-01, Ground Floor, Pinnacle Annexe, Persiaran Lagoon, Bandar Sunway, 47500 Selangor. Stratosphere – Asia’s first and only luxury bar seated atop an infinity grassed helipad, will hold a 2-day outdoor beer festival which you cannot ignore! Indulge yourself in tantalizing cuts of meat, German BBQ and cold beers while enjoying astonishing DJ performances under the glimmer of the night stars. Not to mention you will be in a total carnival beer atmosphere with carnival games and lederhosen-clad waitresses! The entry fee of RM50 will include a special Oktoberfest mug and 500ml beer! Time: 12 – 13 October 2018, from 6pm onwards. If you are a big fan of brews, don’t miss out the limited edition “brew-inspired” mugs specially designed by 5 talented artists (Cloakwork, Kenji Chai, Beautiful Machines ft. Sling, Jarold SNG and Lynda)! Where to get them, you ask? 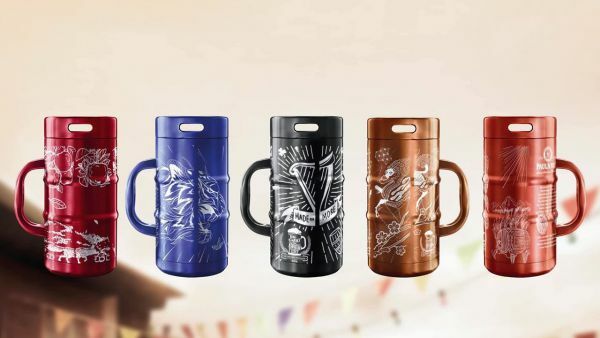 You can go on a “mug hunt” for 5 different mugs while celebrating Oktoberfest Malaysia 2018 at these following restaurants and bars. Much frequented by beer lovers in town, The Beer Factory is the perfect drinking place to unwind with the latest beats. 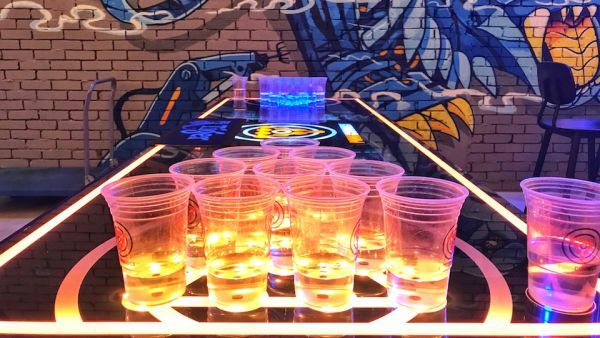 If you love a happening casual bar setting or an alfresco area to mingle with your friends and beer enthusiasts alike, these talk-of-the-town spots will not let you down! Not only will the “factory” give you the best fun but also tempt your palate with great tapas which pair perfectly with your awesome brew (from RM10 nett and above). Time: Brew-inspired mugs are available from 21 September 2018 onwards (while stocks last). – The Beer Factory Express Citta Mall, Lot G-06, Citta Mall, 1, Jalan PJU 1a/48, Pusat Perdagangan Dana 1, 47301 Petaling Jaya, Selangor. – The Beer Factory Sunway Giza, A-11-G, Ground Floor, Sunway Giza, 2, Jalan PJU 5/14, Kota Damansara, 47810 Petaling jaya, Selangor. – The Beer Factory Express Sunway Geo, B-01-01, Sunway Geo, Jalan Lagoon Selatan, Sunway South Quay, Bandar Sunway, 47500 Petaling Jaya, Selangor. 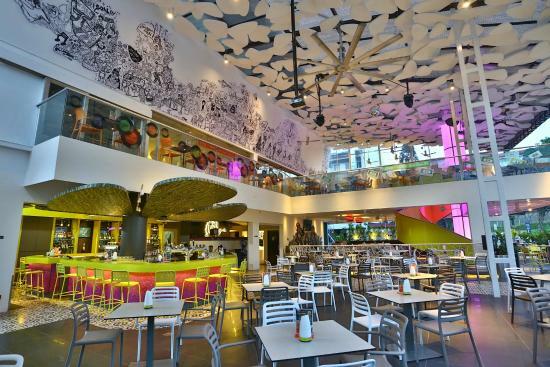 Located at the renowned 5-star hotel, Uncle Chili’s Bar & Restaurant has always been a fantastic destination for beer lovers. 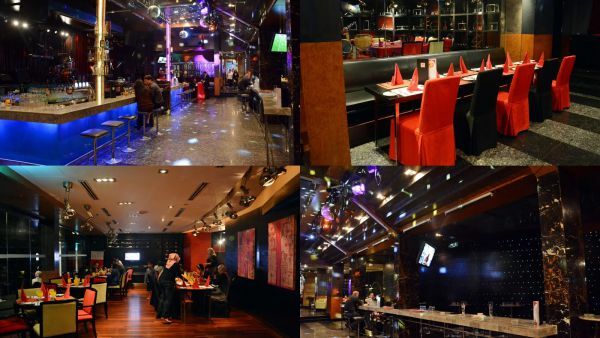 Searching for a place to adore night live band performances of the best talents in town? This restaurant is where you are supposed to be! 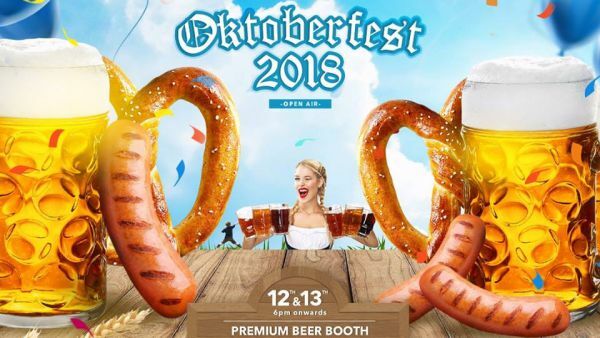 Come to this restaurant to drain glasses of fabulous beers (from RM20++ and above) while indulging yourself in hearty foods and monthly theme parties this Oktoberfest Malaysia 2018! Time: Brewed-inspired mugs are available from 21 September 2018 onwards (while stocks last). Location: Lobby Level, Hilton Petaling Jaya, 2, Jalan Barat, PJS 52, 46200 Petaling Jaya, Selangor. What’s better than treating yourself to “SO Lip-Smacking Food and Thirst-Quenching Drinks” at this go-to place of all brew fans? Stands out for its amiable service and convivial ambience, SOULed OUT Sri Hartamas has captured the hearts of those who love a no-fuss atmosphere to chill with awesome mugs of beer (from RM15++ and above). 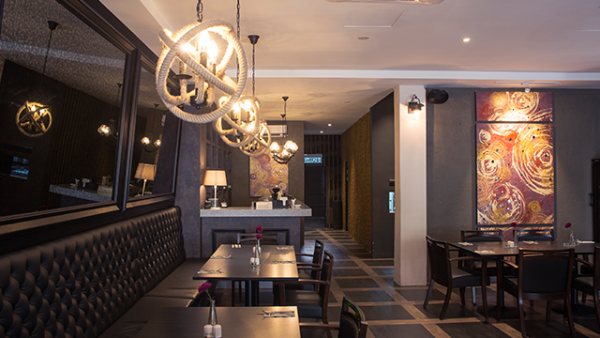 Come to the restaurant to be gratified by delectable dishes, excellent service and impressive theme parties. Location: 20, Jalan 30/70A, Desa Sri Hartamas, 50480 Kuala Lumpur. Scouting for a bar with less crowds and fresh seafood to pair with your beers in this Oktoberfest 2018? Look no further than Pier 12 Seafood Tavern! Located at the well-known colonial building Old Malaya, the restaurant is a haven for all beer aficionados to come and chill with mugs of beer (from RM18 and above) while satiating the taste buds with scrumptious dishes. You can also get yourself free signature dishes at this restaurant by being a TABLEAPP ELITE member! Location: Lot 12, Lorong Raja Chulan, 50200 Kuala Lumpur. 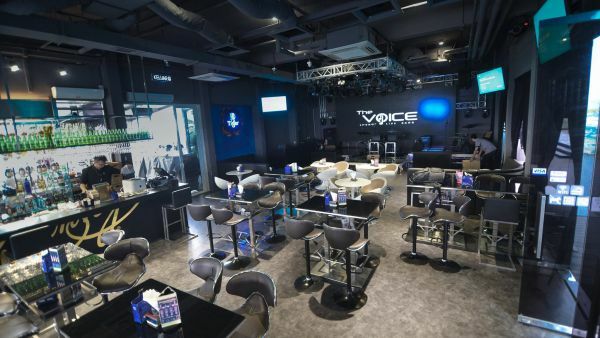 If you are into great music and tremendous fun, there is no reason why you should not pay The Voice a visit. Special shows and live performances are held every night for music fans to have a time to remember! Gather your friends and relish ice-cold beers (from RM14 and above) while chowing down on a wide range of luscious selections from light-bite meals to main courses. Location: RF05, Roof Top, Sky Park One City, Jalan USJ 25/1, 47620 Subang Jaya, Selangor.